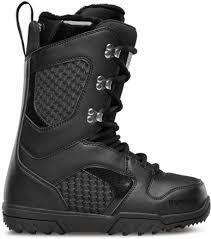 At the request of a reader, we researched vegan snowboarding boots. 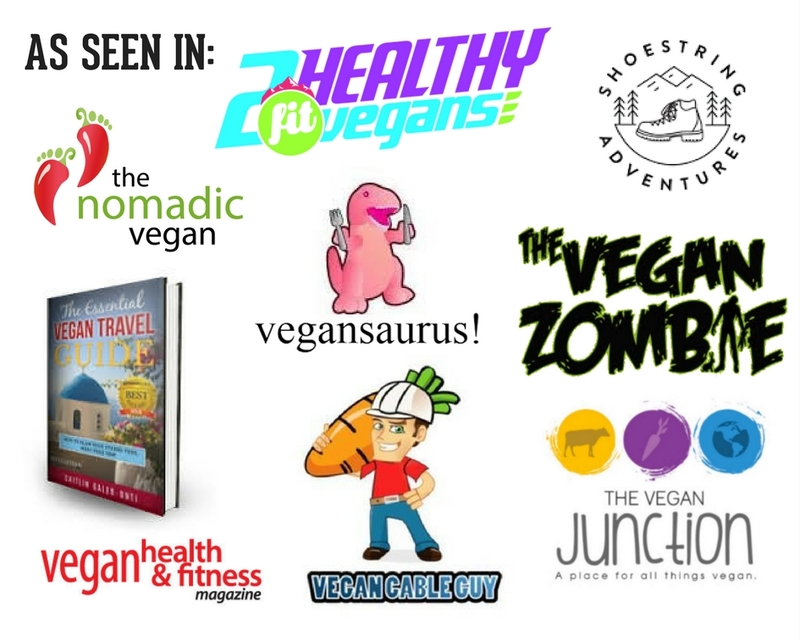 We were thrilled to find two companies with completely vegan lines of snowboarding boots with our first batch of emails. 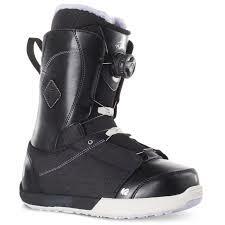 The K2 Arrow Snowboard Boots 2015/2016 are the first women-specific design to accommodate the acclaimed K2 Kwicker splitboard system. Women’s only, limited sizing left. 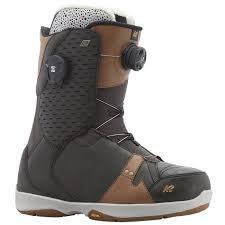 With K2 Ashen Snowboard Boots – 2016/2017 enjoy pure comfort and durability in a lightweight package. You might never take them off. Men’s only. The K2 Contour Snowboard Boots 2016/2017 give you all-day comfort and performance with the women’s K2 Contour snowboard boots, featuring patented Boa technology to give you a perfectly dialed-in fit no matter how or where you like to shred. Women’s only. 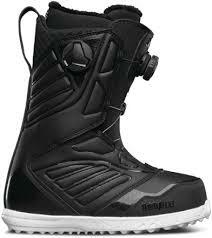 The K2 Ender Snowboard Boots 2016/2017 feature flexible performance and comfort that will keep you shredding from peak to base. Dial in your perfect fit with the patented Boa Conda and have happy feet all day. Men’s only. The K2 Estate Snowboard Boots 2016/2017 are premium real estate for your feet, and will keep you comfortable, warm and dry during even the most epic shred sessions. Women’s only. The K2 Haven Snowboard Boots 2016/2017 provide comfort, performance and easy in and out, so you can hit the slopes sooner and stay out longer. Women’s only. 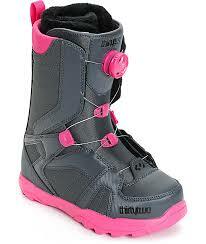 The K2 Haven Snowboard Boots 2014/2015 boast women-specific design, K2 Haven boots put comfort first. 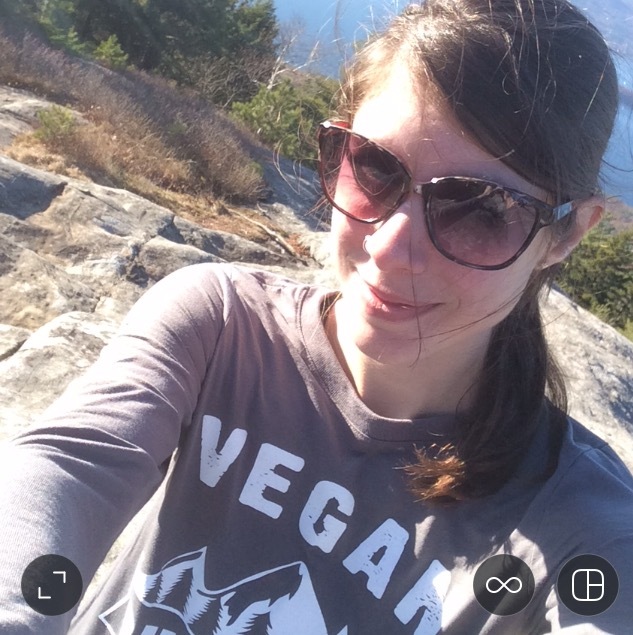 Custom heat moldable liners give you a plush feel without sacrificing a supportive fit while you ride the whole mountain. Women’s only, limited sizing left. 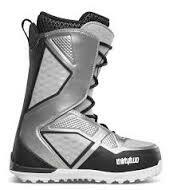 The K2 Maysis Snowboard Boots 2016/2017 are some of the bestselling Double Boa snowboard boots. 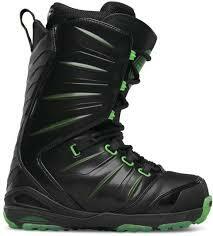 Supreme comfort, performance and a perfectly dialed-in fit keep feet happy during all-day shred sessions. 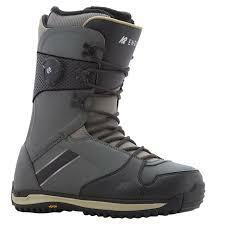 The K2 Maysis + Snowboard Boots 2016/2017 match your shred level. Crafted with premium materials for performance and fit, they’ll make epic days even better. 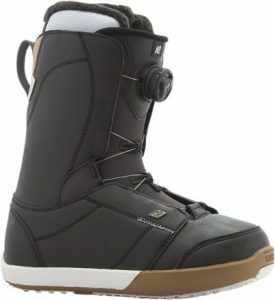 With Boa fit and Endo construction, K2 Maysis Snowboard Boots 2015/2016, offers medium flex and a comfortable fit that leverages premium technology without getting too tricky. It’s everything you need, nothing you don’t. Only available in men’s, size 10. 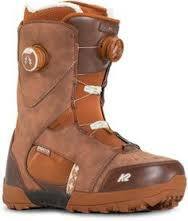 The K2 Sapera Snowboard Boots 2016/2017 give you all-day comfort and while keeping your tootsies happy and warm from park to peak. Women’s only. 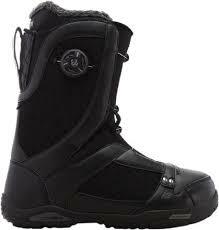 The thirtytwo Binary Boa Snowboard Boots 2016/2017 are perfect for fast fine-tuning and all-day comfort thanks to a Dual Boa lacing system that gives an ideal fit and medium flex for all-mountain versatility. 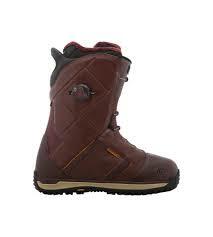 With the thirtytwo Exit Snowboard Boots 2015/2016 you enjoy lightweight and warm, boots that feature a soft-flexing comfort fit. 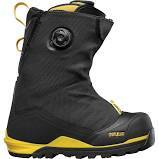 The thirtytwo Jones MTB Snowboard Boots 2016/2017 have the revolutionary crampon-compatible Vibram® outsoles, full-zip waterproof gaiters and a Walk Mode collar so you can hit it harder and in more comfort in the backcountry. Available in men’s only. 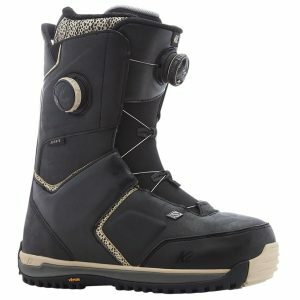 The thirtytwo Lashed Fast Track Snowboard Boots 2015/2016 let you get on the hill in no time and ride from peak to park with easy Fast Track lacing and medium flex in the bestselling women’s Lashed FT snowboard boots. 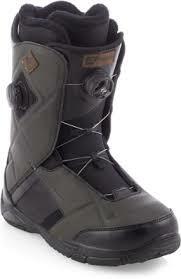 The thirtytwo Prime Snowboard Boots 2015/2016 feature internal Power Wrap cages, deliver superior upper and lower zone support and easy lacing with a stiff-flexing performance fit. Only in men’s. 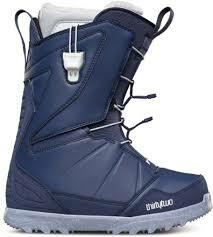 With the thirtytwo STW Boa Snowboard Boots 2015/2016 you can enjoy easy lacing, a precise, comfortable fit and a fast way to get in and out of your boots. 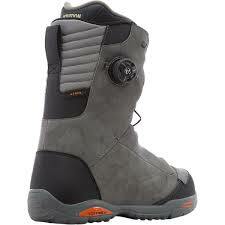 The thirtytwo Ultralight 2 Snowboard Boots 2014/2015 let you ride the whole mountain, all day long, in one of the lightest pairs of snowboard boots you’ll ever wear. In men’s only, limited sizing (size 9). 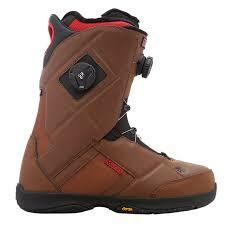 What are your favorite snowboarding boots? Let us know by leaving a comment below!